TULSA — Cold weather didn't stop some local musicians from rocking out on a downtown rooftop on Wednesday. 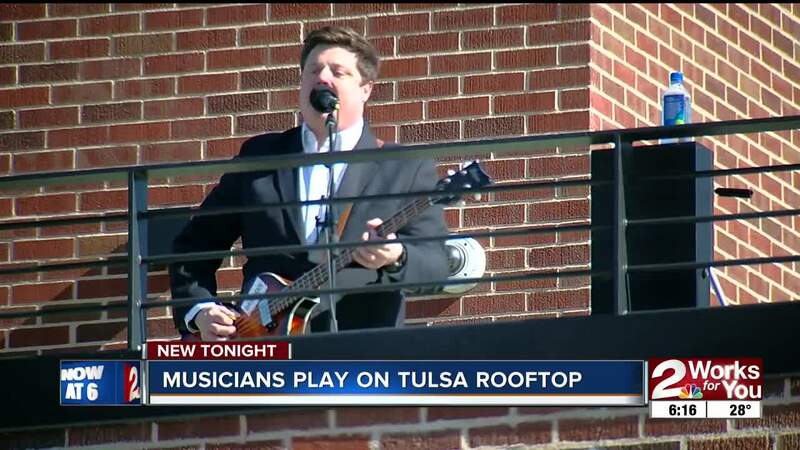 The band played some classic songs by "The Beatles" on top of the Lone Wolf building. The band was commemorating 50 years since The Beatles final performance, which was on top of their Apple studios in London.